Home EVENTS MTAANI NEWS SUPREME COURT RULING! Thika Reacts. Thika town was in a sombre mood Friday morning after the Supreme Court nullified the re-election of President Uhuru Kenyatta. However, it was business as usual with the residents vowing to prove the landmark ruling wrong come October. Shock and bewilderment hit majority of Thika residents after the Supreme Court invalidated the re-election of President Uhuru Kenyatta in the August 8 General Election. Friday morning saw enthusiastic residents throng various social joints in town at least to get first-hand information from the six-judge bench. However, immediately after the ruling was delivered, the gloom on their faces clearly showed their frustration with majority of them castigating the Justice Maraga-led team for the ‘unwise decision’. Unhappy residents could be seen discussing the ruling in smalls groups while expressing their disappointment with the court ruling and the way forward. They, however, vowed to turn out in large number during the repeat election. Thika Town MP Eng. Patrick Wainaina Wa Jungle was taken aback by the negative economic implication of this decision. He could not comprehend how the highest court in the land failed to consider the wider and bigger picture. “I cannot really understand how the interest of one individual can supersede those of 50 million Kenyans. The adverse effects were witnessed almost immediately with NSE trading halting due to severe crash on most counters and the shilling weakening against the dollar in less than an hour. This is not good for the country,” said Eng. Wainaina. He acknowledged that Kenyans are bound to lose another two months of real work, but was optimistic President Uhuru will this time round get a resounding win in October. Wainaina vowed to mobilise every voter within the region to get out and vote as they wooed those from friendly counties to vote for the Jubilee candidate. Immediate former Kamenu MCA Elizabeth Muthoni Hussein was categorical that they were ready to go to the polls once again and prove the six-man bench wrong by overwhelmingly re-electing President Uhuru. While reiterating her support for the president, Muthoni vowed to go out of her way to solicit for votes for the president. She said that she would use her own resources to campaign for the president even in counties presumed to be ‘swing zones’. “The court ruling has really disappointed us considering for trashing the sovereign decision of the Kenyan majority. If we can go by the results of all the other five elective posts, the entire country had been painted red (Jubilee), a clear indication that Kenyans had clearly voted for President Uhuru Kenyatta,” said Muthoni. 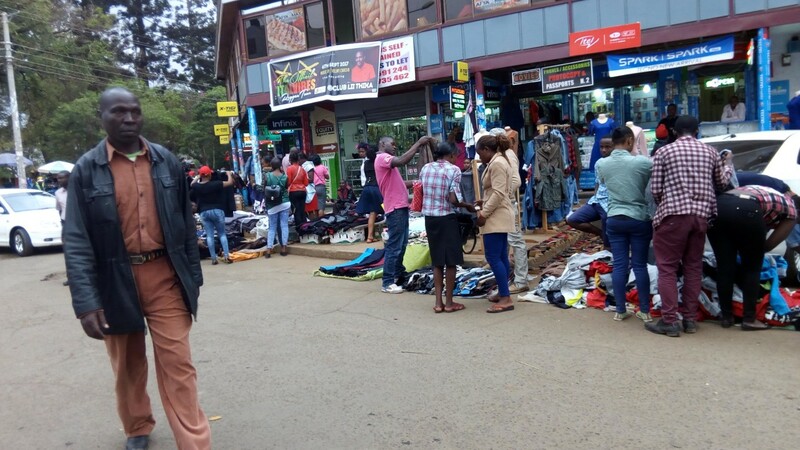 Njoroge Muchemi, a second-hand clothes seller said that even though as Jubilee supporters they had accepted the outcome of the landmark ruling, their resolve for reelecting Uhuru was intact. “They can make biased and political judgments if they so wish but let me remind Maraga and his team, the writing is on the wall. I still have my ID card and I will still vote Uhuru. This time it will be 70% + 1,” said Muchemi. Another resident was sarcastic of the NASA celebrations which he termed as premature and meaningless. “As NASA supporters are busy celebrating a nonexistent presidency, we have already started strategising how we will ensure every vote is cast for our president. This time, we will beat Raila by more than 3 million votes,” he said. On Friday morning, the Supreme Court nullified President Uhuru Kenyatta's reelection, ordering for a fresh presidential poll in 60 days. The court stated that IEBC did not conduct free and fair elections but cleared Kenyatta of any malpractice. They also stated that the irregularities experienced were enough to warrant nullification of the presidential election. Four out of seven judges led by Chief Justice David Maraga upheld the election petition filed by NASA presidential flagbearer Raila Odinga, sparking wild celebrations by his supporters across the country.